Prilosec, the first of a class of heartburn drugs called Proton Pump Inhibitors (PPIs) is now available in both prescription and over-the –counter formulations. In recent years, some studies have linked PPIs like Prilosec to serious complications, including heart attacks and Chronic Kidney Disease. In 2001, AstraZeneca recorded sales of $6.1 billion from Prilosec. Prilosec OTC, an over-the-counter version of the medication, was approved in 2003. By 2013, sales of Prilosec OTC were nearly $400 million. Bone Fractures: The U.S. Food & Drug Administration (FDA) issued an alert regarding a possible association between long-term PPI use and fractures of the hip, spine and wrists. Patients older than 50, and those receiving the highest doses for a year or more appeared to face the greatest fracture risk. A similar association was not seen with over-the-counter PPIs. Low Serum Magnesium Levels: In March 2011, the FDA warned that long-term use of PPIs could cause hypomagnesaemia (low serum magnesium levels). This condition can lead to muscle spasm (tetany), irregular heartbeat (arrhythmias), and convulsions (seizures). In 2016, a study involving 10,500 patients who used PPIs between 1996 and 2015 suggested those who used the drugs twice a day were 46% more likely to develop CKD. Those who used a PPI once per day had a 15% higher risk. The research appeared in JAMA: Internal Medicine. In June 2015, researcher published in PLOS One linked the use of PPIs to an increased risk of heart attack. 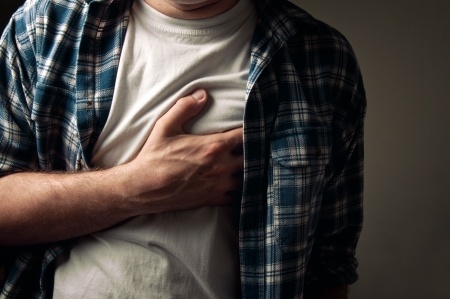 According to the paper, two studies that encompassed medical records from 2.9 million patients found that those who used PPIs faced and a 16 to 21% increased risk of having a heart attack. The research was notable because it involved patients from the “general population,” rather than those who already had a history of heart disease. Could Prilosec be Associated with Dementia?